Sonim XP8 Price, Review, Deals, Cost, & Sales! 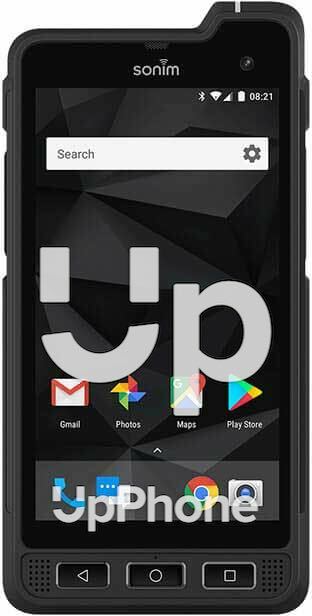 Home / Compare Cell Phones / Sonim XP8 Price, Review, Deals, Cost, & Sales! The Sonim XP8, known for its rugged features, is designed for users with physically demanding jobs and those working in extreme environments. This phone has a 5” 1080x1920 pixel IPS screen which is a basic spec for a smartphone. However, this is quite an improvement compared to its predecessor, the Sonim’s XP7 4” display. This device features a puncture resistant molding around a Corning Gorilla Glass 3 screen and is responsive even to wet or gloved hand navigation. The Sonim XP8's rugged features, however, is not geared towards high-quality imaging. This phone only has a 12 MP main camera and is capable of recording HD videos @ 30 fps and an 8 MP front camera. The main camera has autofocus and optical image stabilization. It has 64 GB internal memory with expandable storage of up to 128 GB via microSD. Its predecessor, the Sonim XP7, has 16 GB of internal memory and no expandable storage. This device has two front firing 100 dB+ speakers located at the bottom. Since the Sonim XP8 is meant to be used even in noisy environments, its speakers are very loud and clear. This phone is powered by a Qualcomm Snapdragon 630 Octa-core 2.2 GHz Cortex-A53. While the Sonim XP7 runs on Qualcomm MSM8926 Snapdragon 400 Quad-core 1.2 GHz Cortex-A7. The Sonim XP8 has a massive 4900 mAh removable battery which can last up to 35 hours of talk time, up to 70 hours of continuous audio playback or up to 30 days of standby. Together with its heavy- duty battery and fast battery charging support, this makes it viable for field workers. This phone is rated IP68 which makes it dust-proof and water-resistant for depths of up to 6.5 feet for 30 minutes and IP69 for high-temperature pressure wash defense. Lastly, this device is rated MIL-STD-810G for resistance to environmental hazards. This phone has a red alarm key which, when pressed, can automatically send GPS location in case of emergency. It has a push to talk option for quick and/or emergency communication. The main screen is molded with a puncture resistant housing. It has physical Android buttons for home, back, and multitasking navigation. The Sonim XP8 is waterproof for depths of up to 6.5 ft for 30 minutes and is resistant to high-temperature pressure wash. This phone can withstand a drop on concrete from a height of 6.5ft at any angle.